1581 b. 30 April Upper Clatford, Hampshire, Eng. 1604 b. dau. Elizabeth bp. 13 May, Hursley, Hampshire, Eng. 1606 b. dau. Constance bp. 11 May, Hursley, Hampshire, Eng. 1607/8 b. son Giles bp. 30 Jan., Hursley, Hampshire, Eng. 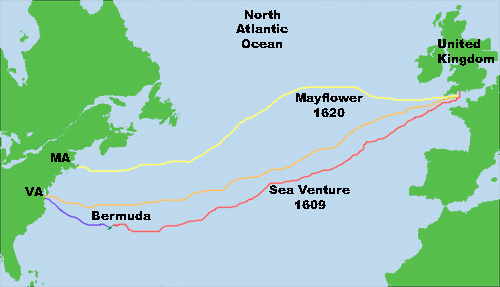 1620 Mayflower sails to America from Plymouth, Eng., 6 Sep.
1620 Signs Mayflower Compact Provincetown, Cape Cod, 11 Nov.
1620 One of 10 Pilgrims to engage in first encounter with American Natives, Cape Cod, 6 Dec.
1620 Mayflower arrives in Plymouth Harbor, 16 Dec.
1620 Began building common house, 29 Dec.
1621 Sent with Myles Standish to meet American Natives, 17 Jan.
1621 Samoset spends the night with the Hopkins family, Mar. 1621 Hopkins, Winslow and Squanto visit Massasoit, 12 Jul. 1644 Will is made 6 Jun. 1644 inventory of his estate was taken 17 Jul.